Princess Ophelia has a boyfriend, but he is not her betrothed. He is a commoner and her father, the King, has no idea. If he did, he would have him tried for treason and executed. So Ophelia has been sneaking out of the castle for a year, and only her sister knows. Her boyfriend doesn't even know that he is dating a princess, he only knows her as Leila. One night, after sneaking out to meet him as usual, things go terribly wrong and she is murdered. 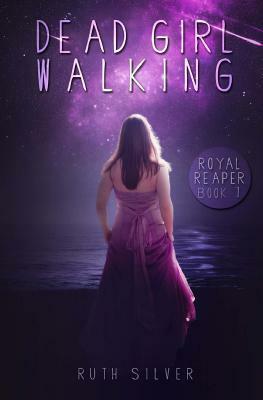 Once she leaves her body, she is given the chance to become a grim reaper, and she hesitantly accepts. She meets the other grim reapers in the area, who are now her team. Her appearance is changed, so that she is no longer recognizable as Princess Ophelia, and she takes the name Leila. Okay, I really enjoy grim reaper stories. Call Me Grim by Elizabeth Holloway is a great one, and I highly recommend it. However, I had a really hard time liking this book. I think it had potential, but there were so many things that bothered me that I just can't say with any honesty that I enjoyed it. First, Leila. I understand that the responsibility that comes with her new position cannot be easy, but she just decided that she wasn't going to do her job and caused a lot of heartache, with no repercussions. She was kind of a brat, and definitely whiny. She was reckless, and didn't think about what her actions would cost those around her. The other characters weren't nearly as bad, but they also didn't really have much personality. As Princess Ophelia, she was crazy in love with her boyfriend, but she fell in love with a fellow grim reaper mighty quickly not long after her death. My other issue with the book was the time period. There are kings and queens and taverns, and kingdoms so I thought this was the 1800's, but the speech is all very modern. The characters were using words and forming sentences that we say today, and it completely threw me. There were just so many things that weren't working for me, and it was disappointing. The time period, the characters, the plot... which was basically Leila wanting to find her murderer, and protect her sister from the same fate. Which happened, but in such a roundabout way, and with almost no amount of time being dedicated to any of it. It almost felt as though the real plot of the story was finding someone you can love in death. Which would be fine, if that had been the point of the story.